The 2014 Gay Games presented by the Cleveland Foundation concluded a year ago and the evidence is clear that buying local and diverse when hosting a large-scale event pays off. While ensuring diversity in the supply chain has become commonplace among corporations, the 2014 Gay Games was the first to make a commitment to a fully-inclusive supply chain in the Games’ 30 year history. This was accomplished through a Memorandum of Understanding with the National Gay & Lesbian Chamber of Commerce (NGLCC) and in partnership with Plexus, the LGBT & Allied Chamber of Commerce serving Northeast Ohio. In analyzing the spending from the 2014 Gay Games, Plexus found that of the total spent, 12.5% was procured from LGBT-owned businesses and 12.9% from women-owned businesses for a total of $564,094 spent at women and LGBT-owned businesses or organizations. In addition, $1,375,244 or 59.7% of the total Gay Games spend was sourced from Northeast Ohio and Ohio-based businesses. Read the diverse spend report here. A study released in December of 2014 showed that the total economic impact of the 2014 Gay Games was $52.1 million. 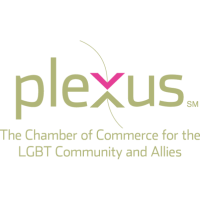 Plexus, the LGBT and Allied Chamber of Commerce, is a nonprofit organization serving the LGBTA business community, promoting supplier diversity, and advocating workplace equality issues in Northeast Ohio. Plexus is a strategic partner in the economic development of Northeast Ohio and serves as a point of connection for corporations, supporters, LGBT businesses and professionals. For more information, visit www.thinkplexus.org. The National Gay & Lesbian Chamber of Commerce (NGLCC) is the only national not-for-profit advocacy organization dedicated to expanding the economic opportunities and advancements of LGBT business community. With more than 29,000 members, 140 corporate partners, and 58 local, state, and international affiliate chambers, NGLCC is the largest LGBT business development and economic advocacy organization in the world. For more information, visit www.NGLCC.org. The Gay Games are an international sporting and cultural event held every four years. Launched in 1982, the Games invite participation from all competitors regardless of sexual orientation, race, gender, religion, nationality, ethnic origin, political beliefs, athletic or artistic ability, age, physical challenge or health status. For more information, visit www.GayGames.org. For information on the 2018 Gay Games being held in Paris, France, visit www.paris2018.com/en.